Developed by NFL Player, Jesse Ohliger, the BREATH BELT was created to solve a 10 year bout with chronic hip and low back pain. Several unsuccessful rehabilitations and surgery consultations later with the “best” NFL and NCAA clinicians, Jesse was driven to find what was holding back his progress. This lead the relentless mission to help himself and countless other NFL and NCAA players with similar issues. Drawing from numerous modalities including unconventional movement, yoga, classical pilates, anatomy and breath work, the best Injury Prevention tool for anyone with a pair of hips was conceived. It became clear that all modalities were missing something to connect breath mechanics to optimal hip function - as they are tied systems. It became evident that a tool was needed to help alleviate fascial restriction against gravity of the prime lumbar stabilizers, the PSOAS and QL. 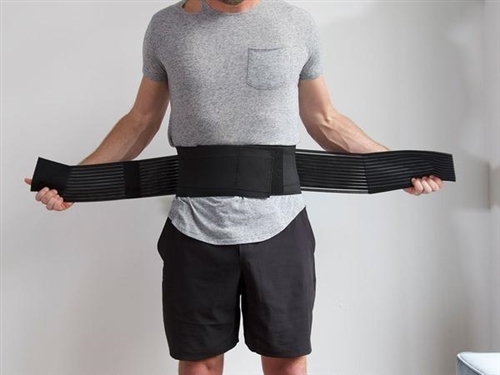 The BREATH BELT is currently helping thousands of clients as well as numerous college and professional sports teams in corrective movement, rehab and Strength and Conditioning. THE BREATH BELT helps each athlete to focus on BREATH, STABILITY AND POSTURE in any movement, drill or exercise.